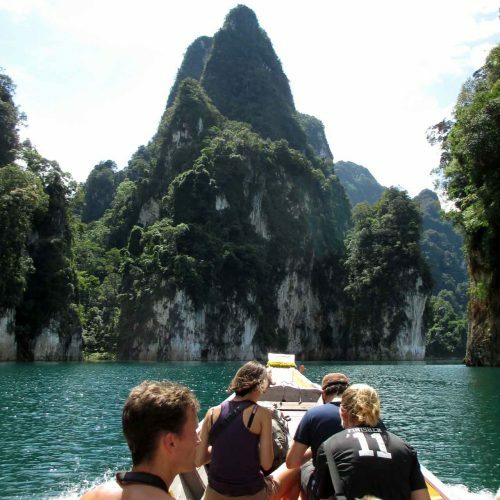 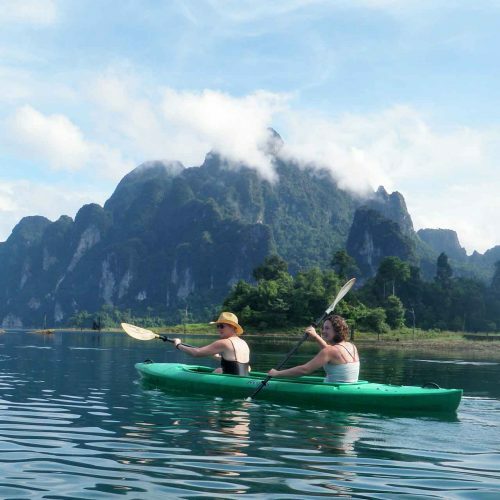 Cheow Lan Lake at Khao Sok National Park is one of the most beautiful places on earth, with over 100 islands with towering limestone cliffs that give the lake its fairy-tale scenery. 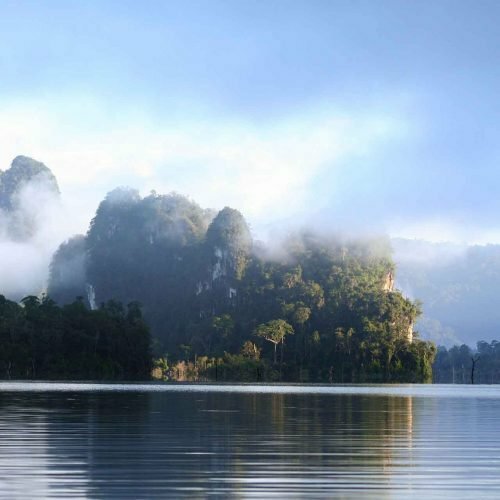 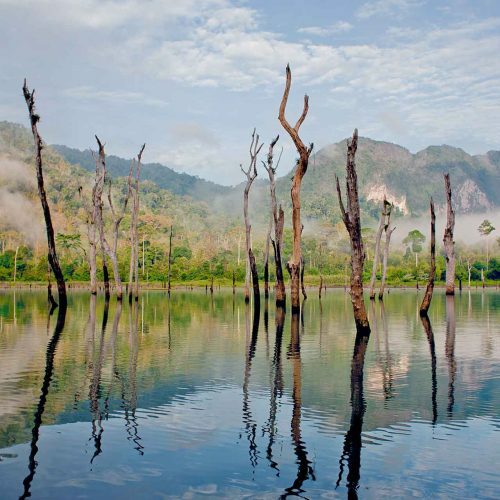 The lake is also known as Cheow Lan, and gibbons and hornbills are commonly seen in the old-growth jungle trees at the water's edge. 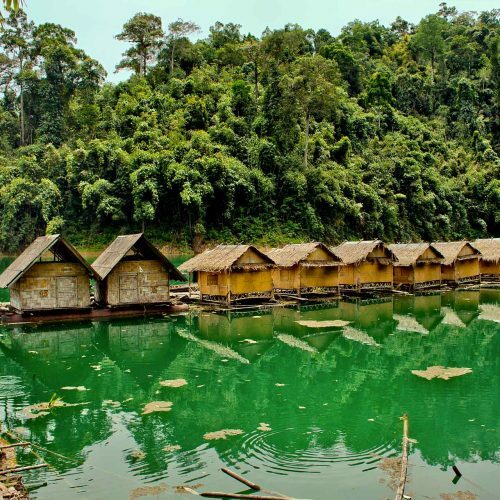 Spend your day taking in the amazing scenery, jungle hiking, exploring a cave, swimming, and relaxing at the floating bungalows. 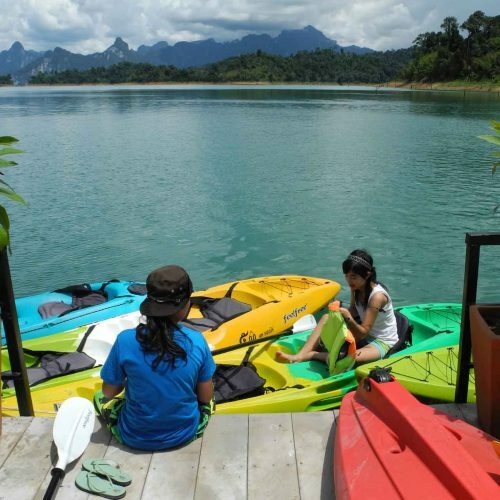 Private lake trips can be arranged to a number of different locations on the lake. 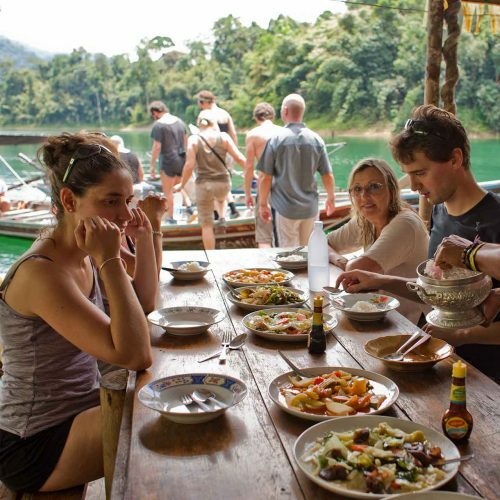 Private trips range from THB 1,600 - THB 4,100 per person depending on group size. 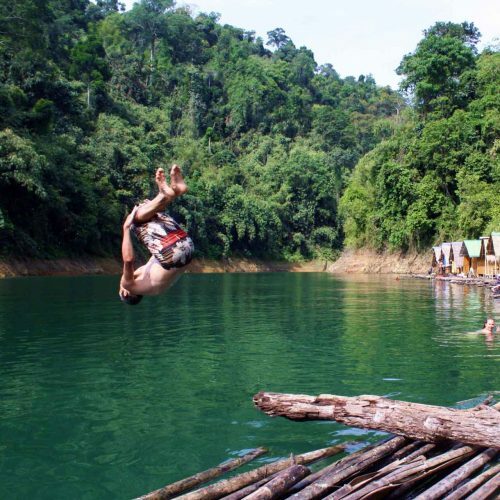 Full itinerary will be provided at the time of booking.